Politicians and political observers are increasing the amount of time spent trying to figure out how to engage with Latino voters – a large and growing part of the American electorate. 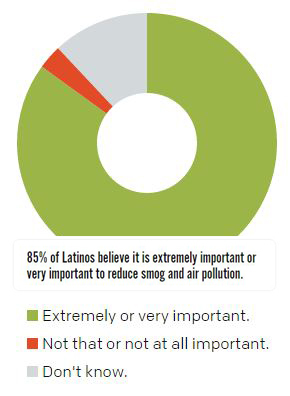 Issues such as immigration reform usually dominate the discussion nationally, but a new poll from the national polling firm Latino Decisions shows that clean water and healthy air are also of utmost importance for Latinos. 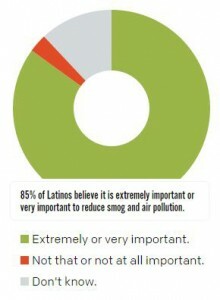 According to their poll 85% of those surveyed found reducing smog and air pollution to be extremely or very important, compared to 80 percent for comprehensive immigration reform. Earlier this month, the United States announced a major step forward in addressing air quality concerns and climate change threats to Latinos. I’m talking about the Clean Power Plan, which establishes the first-ever national limits on carbon pollution from powerplants and places us on a path to heed Pope Francis’s call to protect our planet. Unfortunately, critics began attacking the plan even before it was final. 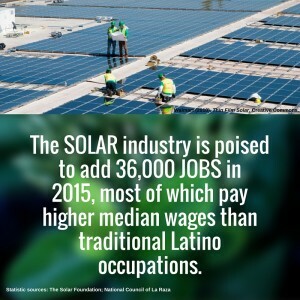 Some of these attacks have targeted the Latino community in particular, arguing that the Clean Power Plan will disproportionately and negatively harm Latinos. These are baseless claims and arguments that have been debunked by experts.